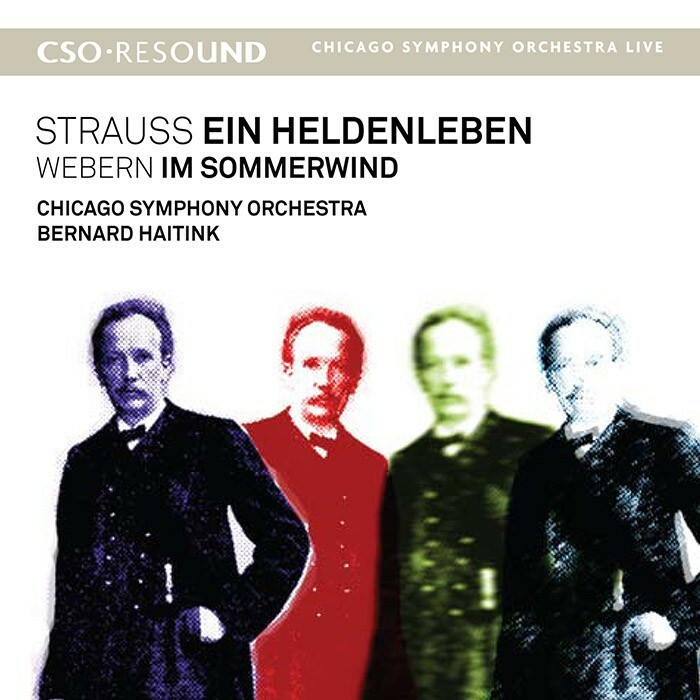 The newest album from the Chicago Symphony Orchestra, considered one of the world's greatest Strauss ensembles, features Ein Heldenleben (A Hero's Life) whose US premiere it gave in 1900. The CSO pours out a lush interpretation of Richard Strauss's large and complex tone poem in their newest live recording; Principal Conductor Bernard Haitink leads with restraint and allows the strings and woodwinds to sing. In the famous Battle Scene, the brass and percussion roar, while concertmaster Robert Chen plays his violin solos depicting Strauss's wife with tender beauty. 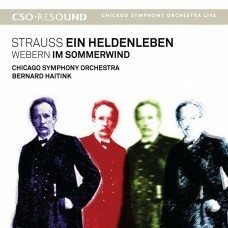 Webern's early tone poem Im Sommerwind is indebted to Strauss's rhapsodic romanticism, overflowing with spacious melodies.